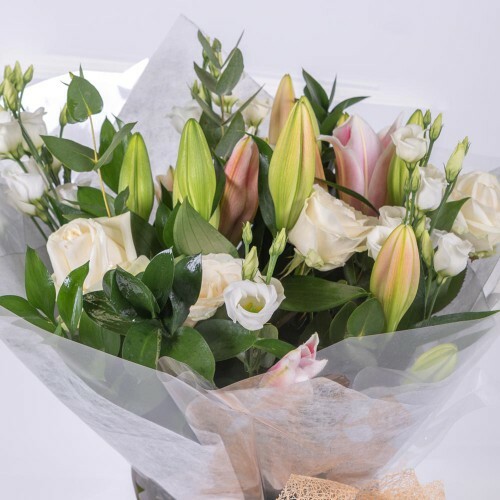 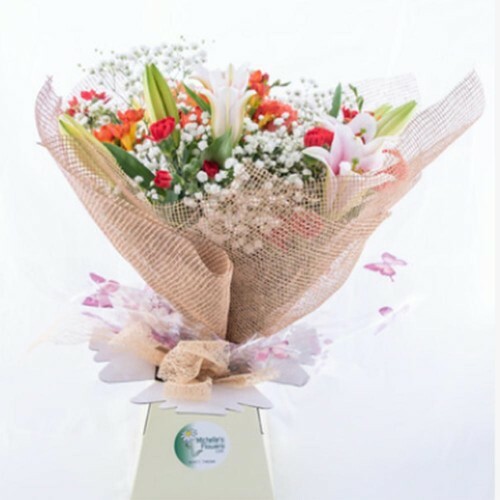 A fragrant blend of freesias, tea roses, lilies, gerberas and spray carnations offset against delica.. 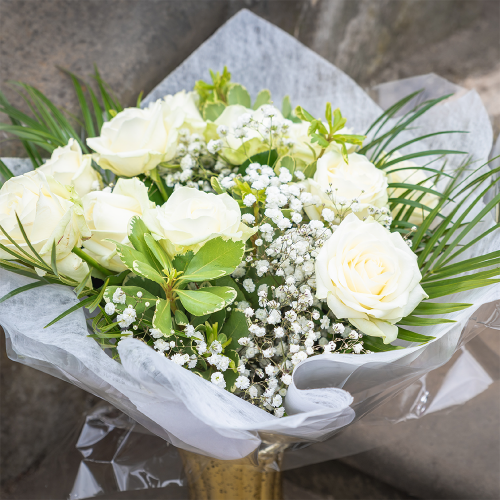 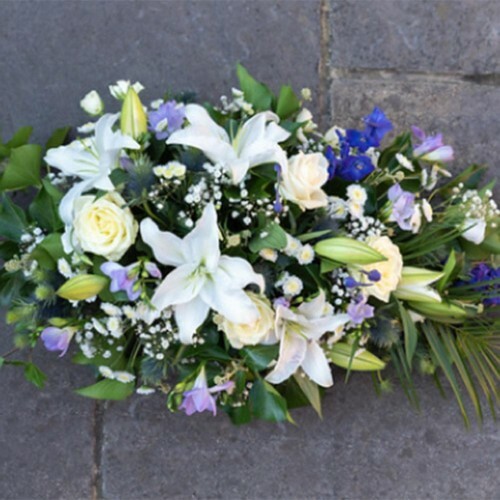 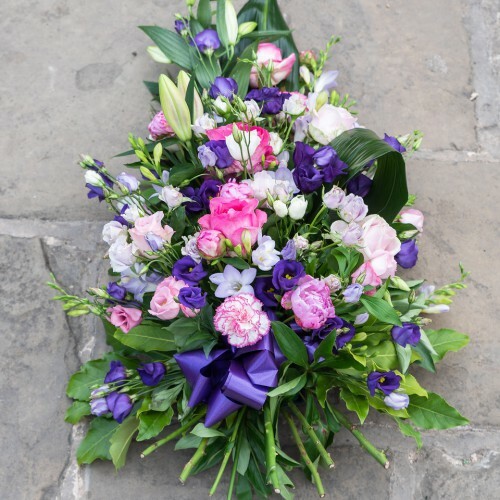 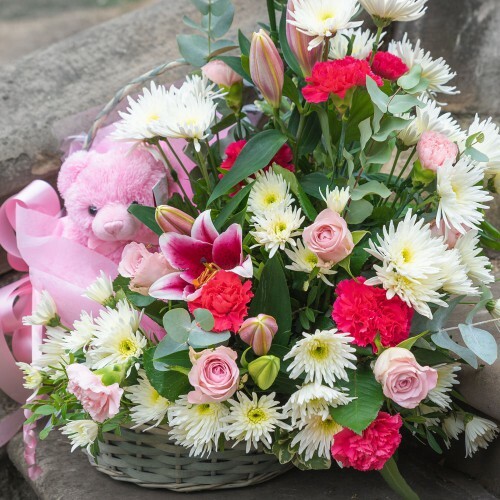 Expertly designed in foam for extended freshness, this single ended funeral sheaf is a beautiful ble.. 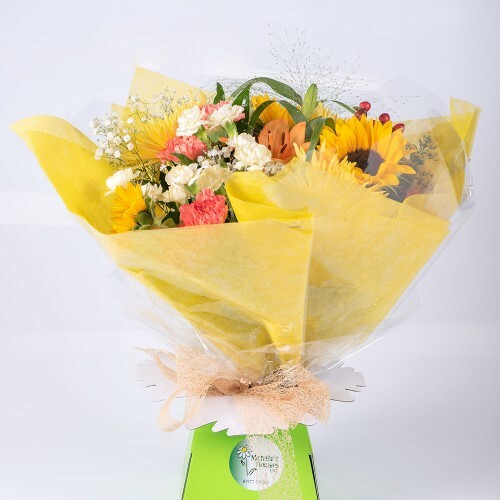 Individual bold stems combine with seasonal favourites to create a cheery bouquet of sprightly yello.. 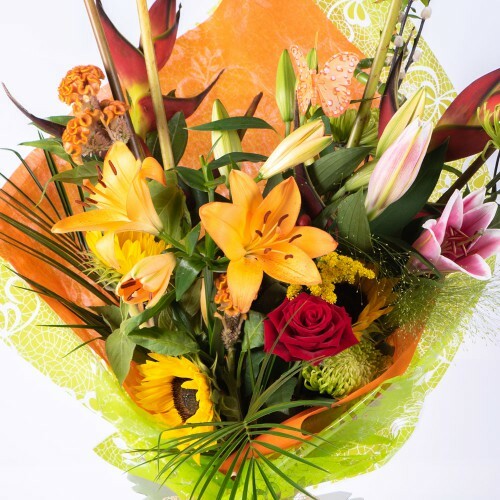 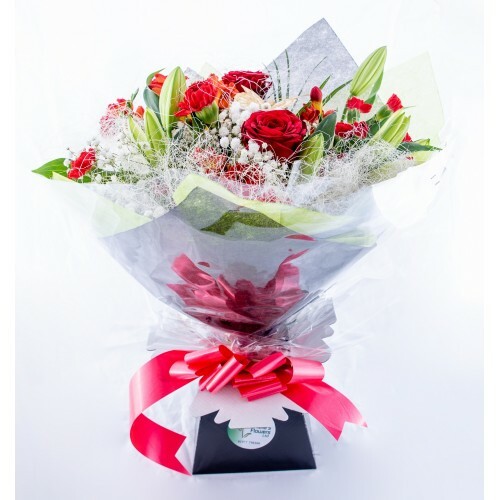 Deep orange freesia, ruby red carnations and roses create this striking bouquet, reminiscent of the .. 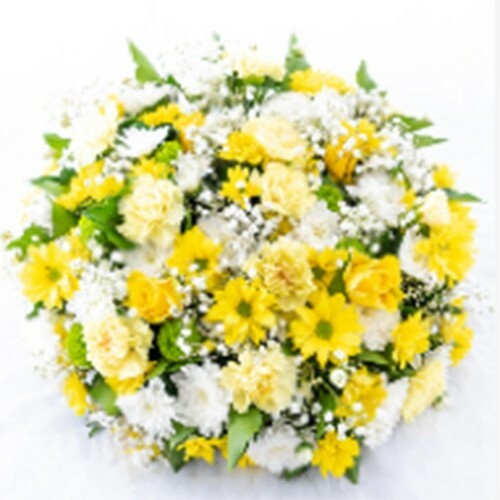 This sunny posy combines cheerful yellow carnations and roses with spider chrysanthemums and delicat..
Understated with elegance, this bouquet expresses heartfelt sympathies. 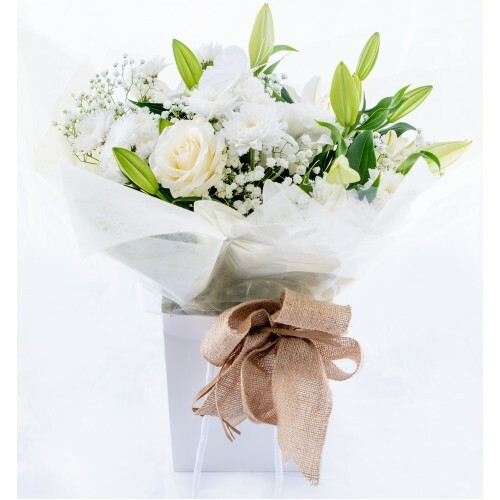 Subtle white and green are b..